"I'm me, man. I ain't trying to be nothing else." That's a brilliant quote from Trevante Rhodes in Moonlight, the best independent film of the year so far. 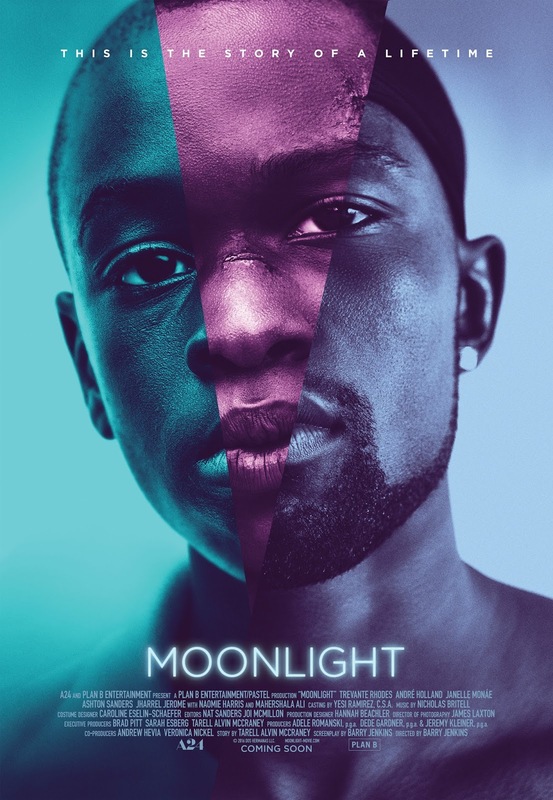 The film is based on the play In Moonlight Black Boys Look Blue by Tarell Alvin McCraney. Rhodes portrays adult Chiron, AKA "Black" (also portrayed as a child by Alex Hibbert & as a teen by Ashton Sanders), whose life is chronicled from childhood to adulthood in Miami. As a child, Chiron is nicknamed "Little" due to his meek personality & small size. As a child, he meets Juan (played by Mahershala Ali), who takes Chiron in for a night at his house with his girlfriend, Teresa (played by Janelle Monáe). Juan advises Chiron to make a plan for himself for the future. After staying with them for the night, Chiron is taken back to his house, where he is greeted by his crack-addicted emotionally abusive mother, Paula (played by Naomie Harris). The only real friend Chiron has is Kevin (played as a child by Jaden Piner, as a teen by Jharrel Jerome, & as an adult by André Holland), who he becomes attracted to as a teen. Chiron must learn to put everything in perspective & figure out his life. The cast, mostly composed of unknown actors, save for Harris, Ali & Monáe, is amazing. Barry Jenkins' direction is absolutely spectacular. The screenplay by Jenkins & McCraney is amazing. The cinematography by James Laxton is absolutely astounding, with the camerawork perfectly showing the urban landscape of Miami. The editing by Nat Sanders & Joi McMillon is excellent. And the film score by Nicholas Britell is amazing. This is one of the year's best films. Please see this as soon as possible. Although it's not my favorite film of the year (it's number 5, behind American Pastoral, The Lobster, Hell or High Water, & Arrival), it is a film that can't be missed.